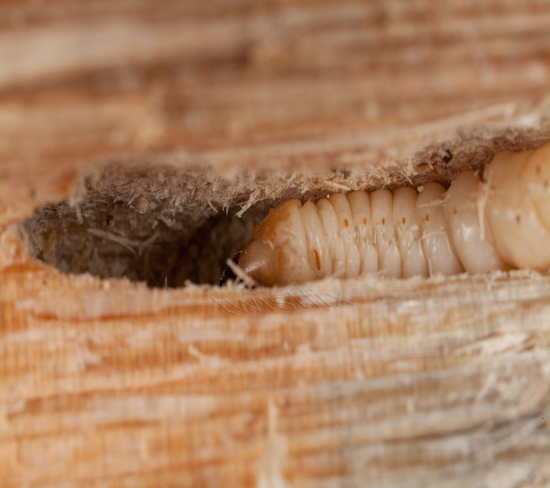 As woodworm season approaches wood preservation chemicals have been put on special offer by Twistfix. These essential timber treatment products are now available with a massive 20% reduction in price. Timber has, for many centuries, been used to construct houses and other wood-framed buildings. Many of these timbers are as old as a thousand years and the organic material is susceptible to many forms of degradation including wood-rot and insect infestations. By using a professional wood preservative, structural integrity is protected and the building's longevity is thus ensured. 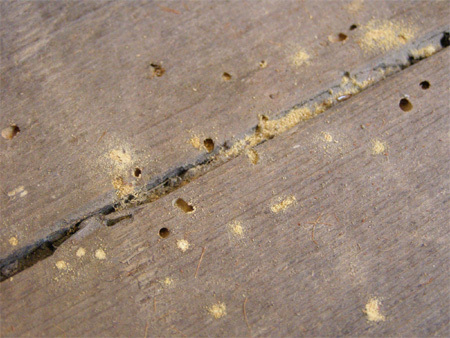 April heralds the beginning of "woodworm season", in which the common furniture beetle begins to emerge from the centre of the timber where it has been eating during the winter, leaving a little round hole that is often coupled with deposits of dust. 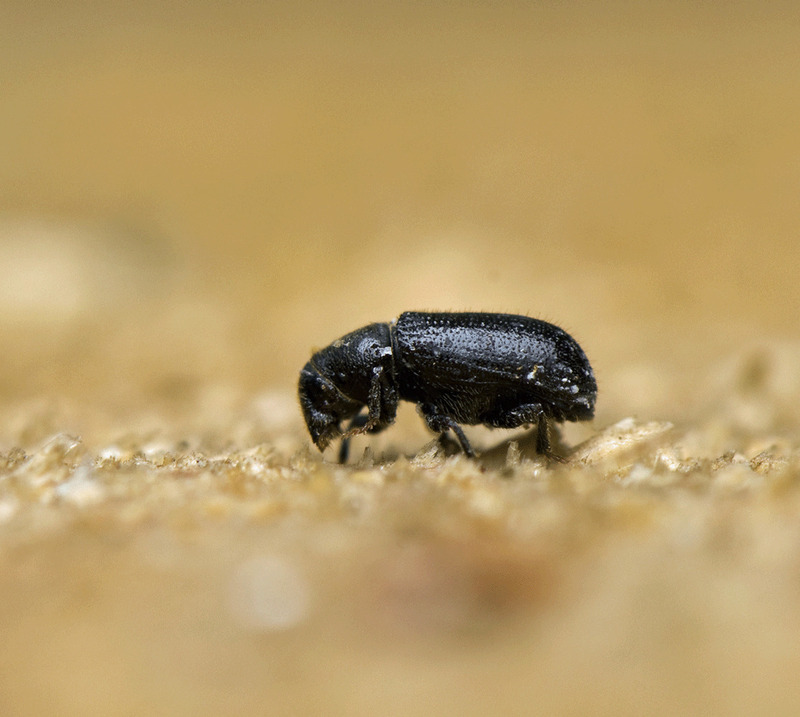 If treated early with an effective woodworm killer, common furniture beetles do not pose a major risk to structural durability though other wood-dwelling insects such as the death-watch and longhorn beetles can cause a much more serious problem. Both wet and dry rot cause serious structural problems. When timber is exposed to a high level of dampness in poorly-ventilated area, such as where wooden joists meet with sub-floor masonry, rot and fungal decay can quickly develop. This can cause cross-grain cracking of the timber, leading to structural insecurity. 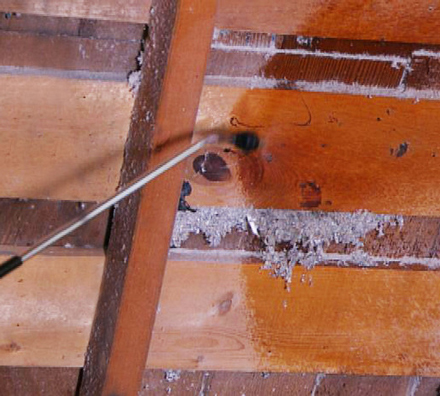 Areas where wet rot has begun to damage timber may feel spongy and have a darker tone than the surrounding timber. Dry rot can be detected by dusty orange spores or a white/yellow fungus, branchlike strands of which extend over walls and floors. The treatment of rot includes eliminating all sources of damp, removing and replacing timber that has been affected by rot and applying a wood preservative. There are many products and methods of wood treatment available. Extensive areas of timber such as wooden floors are best treated with a spray formula to give optimum coverage. Timbers that are particularly vulnerable, such as the ends of joints, benefit most from gel that is applied on the surface while buried wooden posts require injected boron preservers. Twistfix supply a comprehensive selection of high strength wood treatments and wood preservatives at our usual trade prices. All treatments are HSE-registered for use by qualified profes­si­onals. Please enjoy browsing the full range. For more information on Twistfix wood treatments or any of our range of damp proofing, structural repair products, wall tie replacement solutions and more, please contact our team on 0845 123 6006 or email sales@twistfix.co.uk.